© 2012 by Sarah Crompton; All rights reserved; content may not be copied, rewritten, or republished without authors written permission. In general, a garage door is the largest moving object in the home; use of low-quality models may cause accidents or might not reverse the door in an emergency. 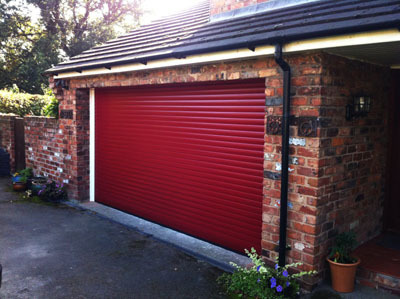 But the electric roller garage doors are designed to prevent accidents using many techniques. These types are opened or closed using control switches and a central motor; all these are equipped with safety standards. Whenever any object comes the way of the door, it will stop closing and reverse to release an obstruction. Also, these doors offer excellent security against intruders as they are built using tough materials. With wireless remote technology, the spring shaft rotates the door using springs. These systems help to prevent the entry of intruders, injuries, burglary, and so on. Installing one is one of the best things you can do for home security and family protection. They make use of different locking devices that may be set so that your garage door can be opened only when it is operated by the transmitter. This technology allows the user to open and close their garage with the press of a finger on the keypad rather than using PIN (Personal Identification Number). This works as the reversing system and includes electric safety edges which upon contact, reverses back. The electric roller model is operated using a tube motor which is set inside the roller barrel or external fitted motor, driving the roller via a chain mechanism. The well installed garage door will provide a high level of security features. Most of these doors use a counter balanced system; this technique helps to move the heavy door with little force. This system makes use of two types of springs — the linear expansion spring, and the torsion spring that allows the garage door to open partially. These doors use monitors that can identify the obstruction and helps to prevent accidents. The sensor opens the garage door in the event that the garage is being flooded with exhaust fumes. This feature allows the garage door to open safely in the event of power loss and prevents major accidents. Choose the best electric garage door from the roller models available on the market that your budget will allow. Look for one that covers all the features and are built according to the latest sophisticated systems. These doors are for the most part found in both industrial buildings and residential homes and provide the utmost security and include all the qualities of a basic garage door. Electric models are most versatile of all types of garage doors and they are available in many sizes and a vast selection of colors; just choose the one that suits your homes theme. Have you had a positive or negative experience with a particular brand name or model? Please share your opinions with other readers in the comment section below!